Looking around Goodson Drug it is immediately obvious that there is a deep love for pharmacy history. The tops of shelves are lined with relics and antiques from pharmacy days long past. Old practices are also remembered. Byron and Jimmy are still able to demonstrate how prescriptions used to be wrapped, instead of bagged, using wrapping paper and a single piece of tape. There are even a couple of the drug store’s old typewriters, used before the introduction of computers, tucked on the shelves in the storage room. Jimmy Goodson has been collecting pharmacy antiques and historical pharmacy information for most of his adult life. 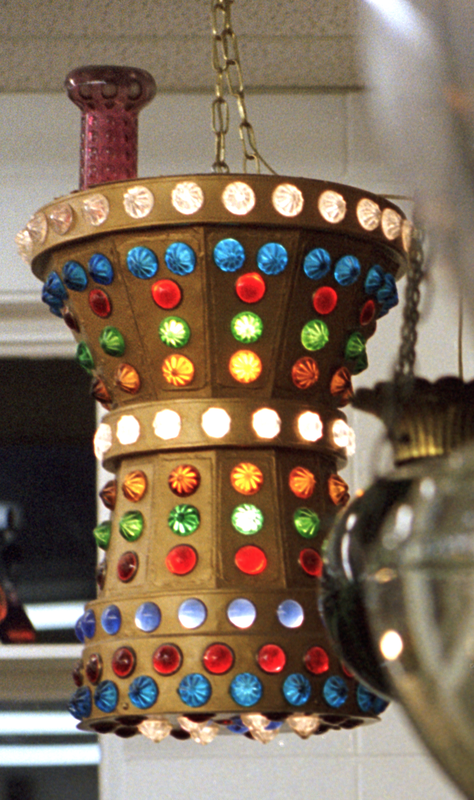 Much of his collection is displayed in the pharmacy at Goodson Drug. This includes pharmacy show globes, mortars and pestles, and several other decorative jars and antique medicine bottles and boxes. Some of the most interesting items include a large, roughly constructed, wooden mortar and pestle from Maine and a brightly colored, gaudy and lighted mortar and pestle from Las Vegas. For most pharmacists this collection would be enough, but Jimmy wanted a more encompassing display. 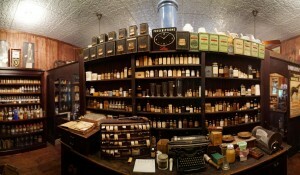 He wanted to provide a means of stepping back in time and seeing a 19th Century pharmacy, not as a small display, but as an actual full scale store. He wanted to make a pharmacy from the 1800s that looked like the druggist just stepped away for a few moments. This dream was brought into reality over the span of a decade. 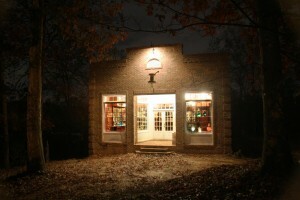 Jimmy had a small building constructed, about the size of a 19th Century pharmacy. He then added fixtures from an old pharmacy that was once located in Sparta, Georgia. 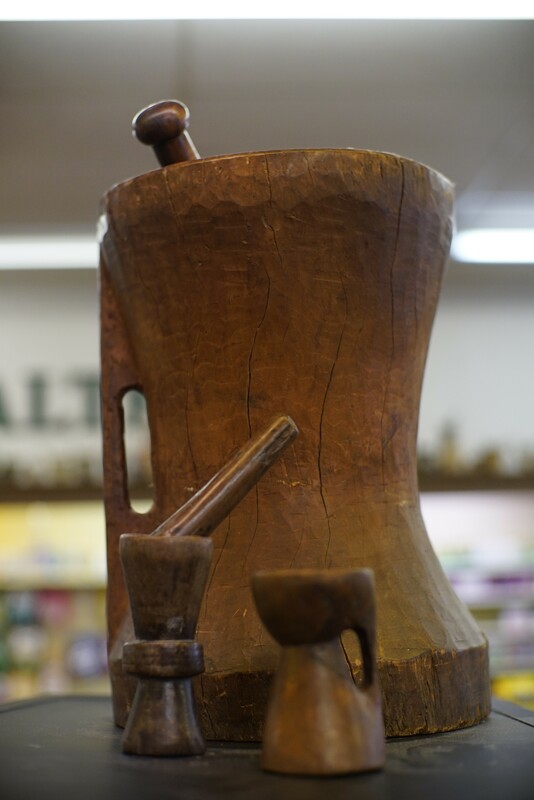 With a meticulous eye for detail, Jimmy added the various antique pharmacy tools, equipment, products and preparations. Subtle touches were added to give the pharmacy a used look. The result is a pharmacy that includes a medicine preparation area, a behind the counter area, an over the counter area (complete with showcases and displays) and even a vintage cash register. It is stocked, set up and ready to do business, just waiting for the druggist to return.